Welding is a high risk activity that is often carried out in various types of industrial settings. It is necessary to understand the various risks associated with the process of welding and the precautions that are to be taken along with them. Some of the risks associated with welding include electric shocks, serious injuries related to inhalation of the toxic fumes, skin burns and eye injuries. It is necessary that the workers always make use of welding protective clothing items while handling these welding equipments. Helmets and shields that are in compliance with the OSHA safety requirements should be used for the purpose of welding. Professionals involved in the task of welding should make use of a number of different safety clothing items and equipments. Here is a brief look at these items. Welding coveralls: Since welding arcs can be quite intense, it is advisable to wear welding coveralls that can offer complete protection from head to toe. These fabrics are made out of special fire-proof materials and can offer protection against molten metal splashes, sparks, hot particles, electrical arc flash, direct flame, flash fire, radiant heat, acids, solvents, oil, alkalis and other types of hazardous substances. Welding shirts: Like the coveralls, these shirts are designed for complete protection against all kinds of fire mishaps. Moreover, the design of these shirts makes them versatile outfits that are multifunctional and can be worn for a number of different projects. Welding trousers: The welding trousers are comfortable gears that protect the legs from any kind of burns. Most people tend to protect the upper part of the body, forgetting that the legs can also sustain serious injuries from burns. The welding trousers offer complete protection from any kind of burning injuries. Welding jackets: The welding jackets are flame resistant outfits that are not only comfortable for long time use but also ideal for welding, electric arc flash, molten metal and other risk-prone activities. Welding parka: The welding parka is made for all welding related activities during the winter season. The parka outfits offer added warmth and the hoods enhance overall visibility. Respirator/Welders Mask: Welders need to use welders’ masks and respirators while they are working on such projects. Although there are various types of respirators available, a person should only use the one made specifically for welding projects. 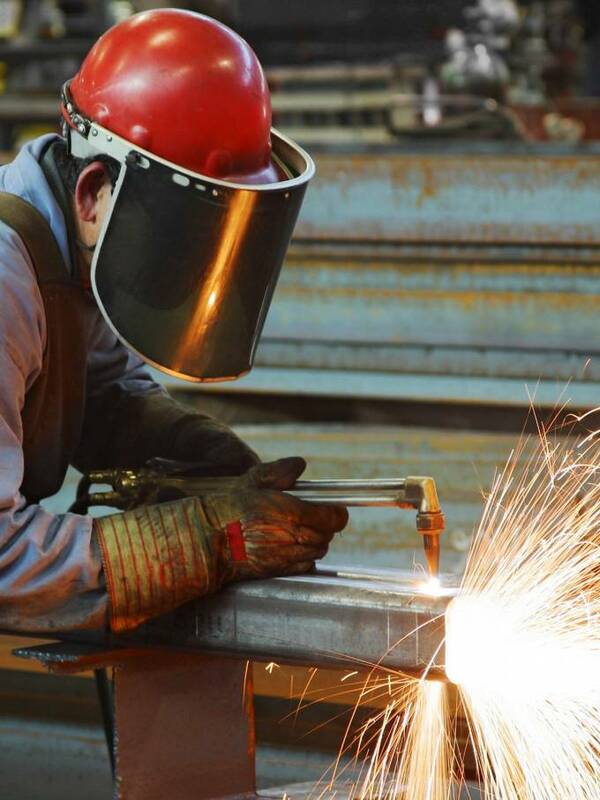 Eye protection: Welding is a process that invariably brings high risk of eye injuries. Due to this reason, it is necessary to make use of appropriate welding eye protection gears that offers protection against effects of ultraviolet light as well as injuries that can occur from debris entering the eyes. Typically, the welding protective helmet is made with some kind of pressed fiber insulating component. It also comes with an adjustable headband. The helmet is also fitted with lenses that help to prevent eye damage and flash burns. FR clothing items such as jackets and gloves should be used for welding that is specifically made for this purpose. The gloves are typically made of gauntlet leather that protects the arms and hands frommolten metal spatter, rays of arc, hot metal and sparks that can cause serious and irrecoverable damage.